Lynn Miclea grew up in New York and moved to California while in her twenties. A certified hypnotherapist, Reiki master practitioner, EFT (tapping) practitioner, and musician, with a bachelor’s degree in psychology, she spent many years working at various jobs, but she always loved reading and writing stories. After retiring, Lynn further developed her passion for writing, and she is now a successful author, with many books published and more on the way. ​She has published many books in fiction, nonfiction, and children's books, and she hopes that through her writing, she can help empower others and add more joy and love to the world. She asks everyone to be kind to each other as we all share this journey through life together. 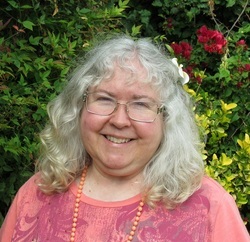 Lynn is also a Usui Ryoho Reiki master practitioner and conducts distance healing energy sessions for others, during which she channels energies of healing, light, and love to those in need. Reiki energy is universal life energy which is always for the recipient's highest good and greatest benefit. For additional information on Reiki energy healing, please visit Lynn's Reiki website here. In addition to writing and energy healing, Lynn is an accomplished musician and has played the piano since she was three years old. She lives her life with much joy and passion, and this comes through in her music. She passionately enjoys bringing her music to various senior and memory-care facilities, where it deeply touches those who need it the most. For additional information on her piano music entertainment, or to hear her play, please visit Lynn's music website here. In whatever free time she can find, Lynn also enjoys reading, relaxing, and being in nature. Lynn currently lives in the Los Angeles area with her husband and two small dogs. Please visit Lynn's Amazon author page here. Please like Lynn's facebook author page here. Please follow Lynn on twitter here. To see some of Lynn's writing, please visit her blog here. To order Lynn's books, please see the tabs above. Please sign up for her newsletter - she would love to include you!!! Please sign up here. Thank you so much!! !